Following the blockbuster success of the romantic comedy “Crazy Rich Asians” – it surpassed its $30 million budget on its opening weekend and has far made more than $226 million at the worldwide box office so far – Asian women finally are getting quality film roles both in front of and behind the camera. 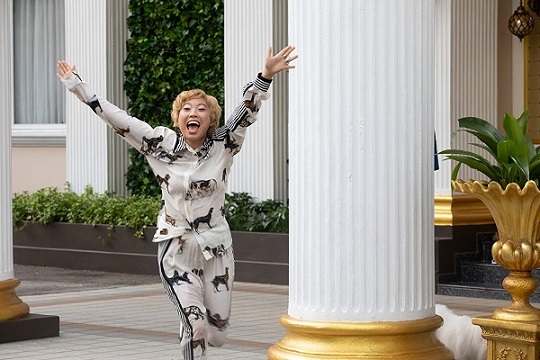 The film’s all-Asian cast – the first in a major Hollywood production since 1993’s “The Joy Luck Club” – is credited with making “Crazy Rich Asians” the biggest rom-com release in a decade. As Bianca Barratt reports for Forbes, the film’s success has added to the growing body of commercially successful and/or critically acclaimed releases like “Black Panther,” “Girls’ Trip” and “Get Out” that are finally proving to Hollywood executives that films with non-white leads can make large sums of money. Coupled with increased pressure on the studios to treat women more equitably, that means there are more roles for Asian women actors to be seen on the big screen soon; even better, these roles get away from some of the cookie-cutter stereotypes that have lingered in mainstream movies. Her “Crazy Rich Asians” co-star Gemma Chan scored the role of Doctor Minerva, the villain in “Captain Marvel,” which will blast on to the big screen in March 2019. Plus, we’ll see Kelly Marie Tran return as Rose Tico in “Star Wars: Episode IX,” which is currently filming and set for December 2019 release. After the runaway success of this summer’s Netflix hit To “All The Boys I Loved Before,” lead actor Lana Condor has been named “one to watch” in 2019, too. Disney is expected to bring its eagerly awaited live-action version of Mulan, starring Chinese-American actor Liu Yifei, to theaters in 2020. As previously reported, “Whale Rider” director Niki Caro, who most recently helmed the period drama “The Zookeeper’s Wife,” is directing “Mulan,” which Disney initially created as a 1998 animated film that earned $304.3 million worldwide and garnered Golden Globe and Academy Award nominations. There also is a trend of more Asian women getting opportunities to write and direct films. As Forbes reports, the next Asian-American rom-com due in theaters, “Always Be My Maybe,” comes out next year with Nahnatchka Khan in the director’s chair and Asian-American actors Ali Wong and Randall Park in the lead roles. Wong also wrote the screenplay. Nisha Ganatra will direct Mindy Kaling’s upcoming comedy “Late Nights,” and as previously reported, Cathy Yan will take the helm of Warner Bros and DC Entertainment’s next Harley Quinn film. As Barratt reports for Forbes, a study conducted by UCLA found that just 3.1 percent of lead film roles went to Asian actors in 2016 and only 1.4 out of 10 lead roles went to people of color between 2011 and 2016. Meanwhile, the Pew Research Center found that the Asian American population showed the fastest growth rate of any major racial or ethnic group, rising by 72 percent between 2000 and 2015.